This was the first Expanded major event of the 2018-19 season, and the first-ever Expanded major event with the July 2018 banlist updates (Ghetsis, Hex Maniac, Puzzle of Time, and Wally). 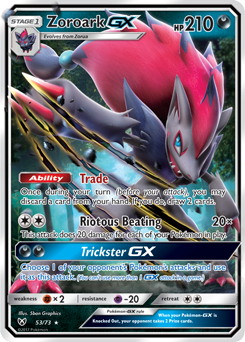 Team DDG was responsible for creating the Zoroark-GX/Seismitoad-EX Control deck that Jimmy Pendarvis used to win the tournament. Six of the seven players who used the list made Day 2, and four of them finished in Top 16. The players used different Plasma Blast Fossil Pokémon (Archen, Lileep, or Tirtouga - the choice didn't affect gameplay) to allow themselves to Trade to zero cards in deck without decking out. DDG member Isaiah Williams used a different Zoroark-GX Control list without Seismitoad-EX to finish 6th. This event was streamed by Travis Nunlist (tnunski on Twitch), with commentary from Nunlist, Alex Koch, Mike Morton Jr., Brandon Nguyen, and Ben Potter.